You can use this word track to buy a car online, via regular mail, over the telephone, or in person. I strongly recommend that you use online but I know that some car buyers, seniors like me, are not as comfortable with buying over the Internet. Using this word track in person can work, but it will be much more difficult and take a lot longer. Only a person with a very strong will, stamina, and a very thick skin should attempt this. I strongly recommend that you don’t. (1) Dear Car Salesman, “Within the next two weeks (enter your own time frame), I will be purchasing (leasing) a (fill in the specific make, year, model and optional accessories).” You should carefully research the vehicle that you decide to purchase using all sources of information available such as Consumer Reports. You should also test drive the car to be sure it feels and drives the way you want it to. It is vital that you not change your mind during the purchasing process. If you do change your mind, you must begin all over again. Never let a car salesman change your mind for you. That is one of their favorite ways to charge you more money than you had anticipated paying. Almost everyone that buys a new or used car looks at the purchase as a single transaction. But it’s not; it’s THREE transactions. Those are (1) Getting the lowest price for the used or new car you have decided to buy. (2) Getting the highest price when you sell your trade-in. (3) Getting the lowest interest rate when you finance your purchase. Car dealers depend on you looking at the purchase of your car, the trading in of your old car and the financing as one transaction done with them. This allows them to sell you a new car at a very low price (even below their true cost) if they can get your trade-in for less than it’s really worth. The vernacular that car dealers use for this practice is “stealing the trade”. The same thing is true if they can finance your purchase at an interest rate higher than normal. Car dealers get “kick-backs” from banks when they charge an interest rate higher than the lowest interest rate the bank offers. In fact, car dealers make more money from the financing of cars than they do from the cars they sell. Car dealers know that most prospective car buyers have a “hot button” when it comes to buying a car. With many it’s the monthly payment. 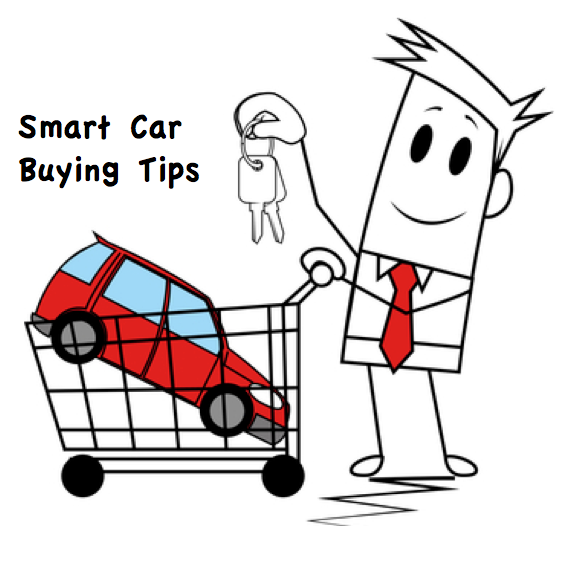 With some it’s “How much can you allow me for my trade?” Some are mainly focused on the price of the car their buying. Some are actually focused only on how small a down payment they have to make. With others, it’s the lowest interest rate. The salesman’s job is to find your hot button. Once they know that, they can give you what you’re focused on, like high trade-in allowance, but still make a much bigger profit on the overall transaction than you should be willing to pay. You’ve seen and heard the advertisement. “$3,000 Over Kelly Blue Book for your trade-in, Minimum $10,000 trade-in if you can push, pull, or drag it in, or We need your (fill in the blank of any year-make-model) and will pay you $5,000 over book.” All those ads are designed to do are get you into the dealership based on your hot button. They can actually give you a high trade-in allowance just by marking up the car you’re buying enough to offset how much extra they give you for your trade. The same thing sort of trickery applies to any one single hot button. A low monthly payment can generate a huge amount of profit to the dealer with a long enough terms (84 months for example) or a high interest rate. A low price on the car you’re buying is offset by “stealing your trade”, allowing you thousands less than your trade is really worth. A low down payment leaves the door open too. You’ve all seen the 0% financing ads, but this means nothing if you overpay for the car you’re buying or let go of your trade for too little. The only save way to get the lowest total transaction price is to negotiate each price separately…the car, the trade-in, and the financing. When you’re shopping for the lowest price for your car, tell the car dealers you don’t have a trade-in and you’re paying cash. When you’re shopping for the highest price on your trade-in, tell the car dealers that you don’t want to buy a car, just sell the one you have. When you are shopping for the lowest interest rate, check with you own bank or credit union and another bank or credit union for their best rate before you ask the dealer what his lowest rate is. After you’re armed with all of this information, go to the car dealer who offered you the lowest price on the car you want to buy. Then ask him if he can meet or beat the highest price you have quoted on your trade-in. Similarly, ask if he can meet or beat the lowest rate you have on your financing. When you’ve done all this, you can be assured you have the best total transaction price. There’s one caveat on the trade-in. In Florida, you pay 6% sales tax on the difference between the trade in and the price of the car. Therefore the dealer you trade the car to can be 6% lower than the high bid on your trade from another dealer and still match it, because you will lose the sales tax savings if you sell your car to another dealer since you won’t have a trade.